Nicaragua Well-No Well But Many Blessings! The Nicaragua Well GO Team Trip didn't go as planned, but we had a very successful and rewarding trip. Our team was to aid with a well drilling project in one of the barrios. 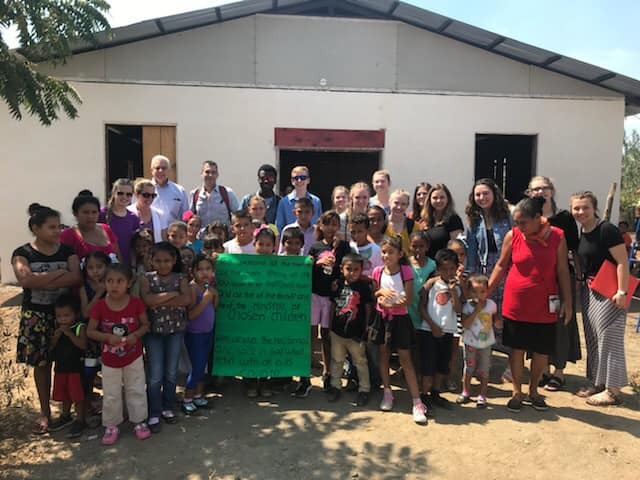 However, once we reached Nicaragua, our in-country partner informed us that the community’s well permit had not been approved by the local authorities and that we might have to help construct a house/bathroom. On Sunday we visited the community where we would be working, and we participated in an open-air bilingual church service. We were treated to Spanish worship songs, testimonials, a sermon on God’s Treasure Map for Living Water, and an alter call. After the service, we discussed our team’s willingness to complete the water well drilling project if a permit could be obtained, and we prayed for the community representatives who were to meet with the Mayor in the morning regarding the permit. The well permit was not forthcoming, and our team moved forward with the home construction, banjo construction, adult hygiene training, and kid program activities for the week. The community area in which we were working was previously a government owned irrigated farmland that had been “subdivided” into 8,000 – 30 by 90 ft homesteading lots. Our team constructed a 15 by 15 foot metal home for one of the families, with an outdoor bano (bathroom). The second part of our team did morning community visits and afternoon adult hygiene and children’s programs. God gave us many opportunities to pray with and for the local residents. 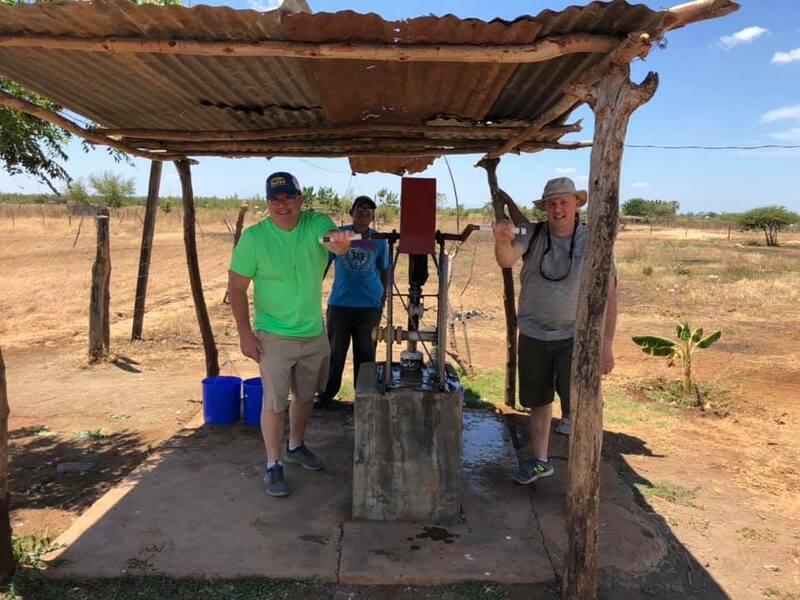 While we did not install a water well, I was able to provide some hopefully helpful Nicaragua groundwater information and well construction means and methods materials to our partner, and I collected a water sample from the church’s/community’s sole water source for pesticide analysis. Our whole team was truly blessed by our time in Nicaragua. So good to see Kaci's face light up as we entered her classroom. What a difference a year makes. During our time at BMA last June, Kaci was almost silent and noticeably guarded against the noisy Americans. In our impact story from last year, we mentioned walking her to her mother’s business after a school pizza party at a local restaurant. She asked us why we would take time to walk with her. This year... she returned the favor by showing up at the train station to see us off on our last day in Frydlant. 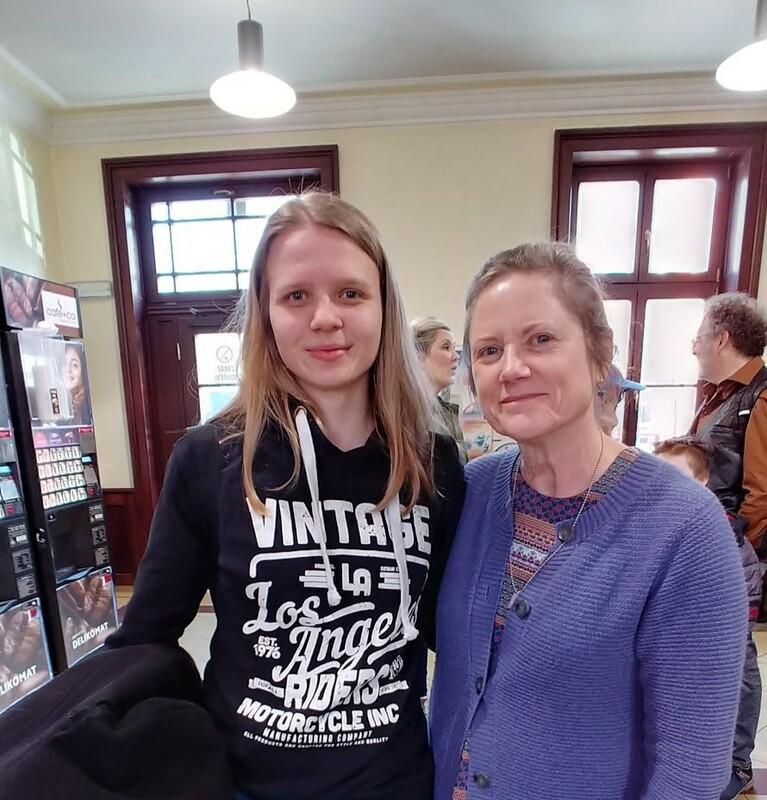 It was Saturday, a much needed day off from the intense week of studies, but she said she felt a need to take a bus and train from home that morning, which would take two hours to complete the round trip journey. She was all smiles. She told us how happy her heart was that we had come back to spend time with her and her classmates. She echoed the sentiment of other students that somehow this year was so special. The discussions were so richly personal. Thank you Kaci for clearly showing my heart that we made a difference by coming to invest in your life. Sierra Leone Outreach-Thousands of Opportunities! There we sat, 12 people from Christ Community Church, on a podium behind a nationally known speaker in Sierra Leone, in a soccer stadium filled with approximately 50,000 residents. After 32 hours of traveling, we had become guests of honor at this crusade… and we had barely been there 24 hours! We were the honored guests everywhere we went. 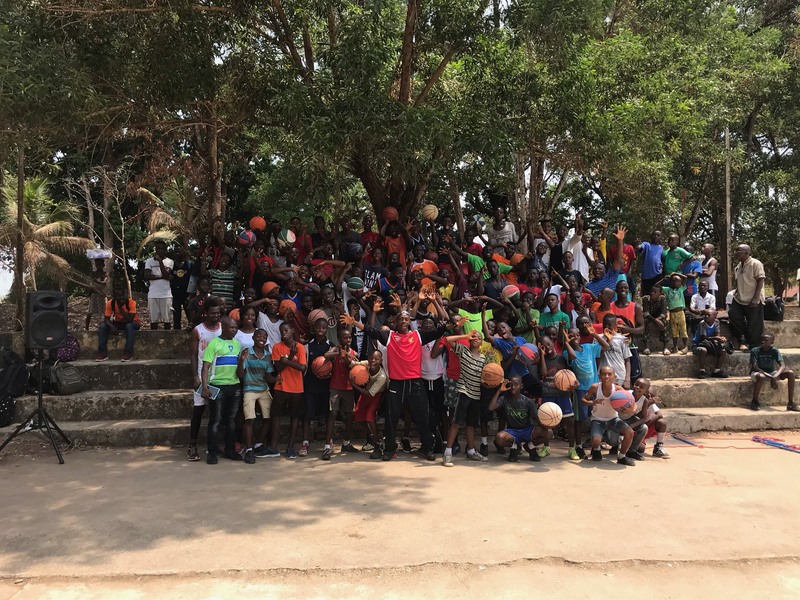 We hosted a Vacation Bible School for 600 children at 5 churches, we ran an outdoor basketball camp for 60 high school boys who had never played before, and we attended a track meet for 4 different schools where about 5000 spectators/students cheered. We travelled 2 hours on dirt roads (with 9 of us in a 7 passenger car) to visit the least developed province where 40% of local people live in mud huts with thatch roofs. We even heard about the impact of a well our church funded in that community! The medical team served in a New Harvest Ministry Clinic, seeing 46 kids in 5 hours and 50 adults in 5 hours the following day! Others did registration, weights, blood pressure, and pill counting. Roger worked with a nurse,”Princess” who interpreted and never stopped smiling! The other team members met with 27 Children’s Pastors to discuss teaching techniques, cultural insights, and local challenges. Terese shared her passion for the disabled and their parents. Even as we headed to the airport, we squeezed in a visit to 270 inmates where we watched 37 get baptized in their courtyard! Our goal was to build relational bridges, encourage the local church and experience God’s love for the world! We certainly succeeded and came home with innumerable precious memories (and yes, a possible future surgical trip…?). Our team was at the airport getting breakfast before our flight to Nicaragua. A lady approached us with tears in her eyes, saying she needed to be obedient to what God was asking of her. She handed us an envelope and walked away. There was $500.00 in the envelope! The envelope also contained her business card, and we saw that she works for the Cayman Island government. We hadn't talked with this woman or told her where we were going or what we were doing. Because of the money she gave us, we were able to completely furnish the house we built for a family, buy medicine for a sick child who we were able to pray over, and help a family travel back home after they traveled to the city for their child's surgery. This family ran out of money and were stuck in the city unable to travel home. Because of the gift this stranger gave us in the airport, we were able to be a tangible blessing to many people and be the hands and feet of God!